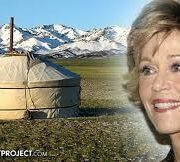 Why buy an Authentic Mongolian yurt? It’s more comfortable : with its unique construction and material, the yurt naturally breathes. It is so wonderfully decorated, – it’s a hand made work of art. Nothing beats the felt for insulating this compact structure. It keeps it warm in the Winter, but maintains it cool in the Summer. More than 500 yurts sold since 2003 and they are still used in all North American climates. By keeping in touch with our customers, we manage to constantly improve our product, while respecting ancient Mongolian traditions. We are able to produce what are probably the best Mongolian yurts today. We’re sourcing our yurts directly from the families of our suppliers on a principle of fair trade and deliver them to your door. 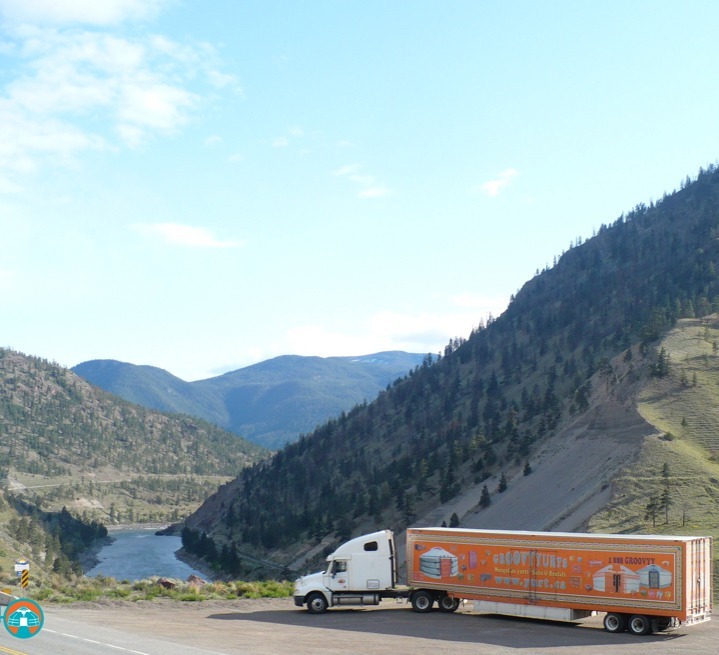 Twice a year, we tour North America with the Groovy truck offering direct door to door service and delivery, anywhere. 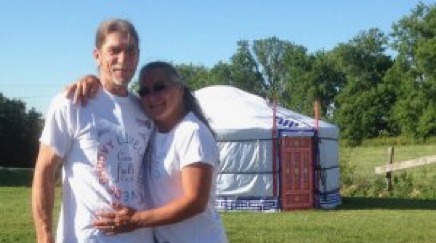 In 2003, Yves Ballenegger, a philanthepist at heart and a true lover of trucking, began the evolution of Groovy Yurts by taking his passions of people and trucking on the road. It was in that year that he delivered his first load of school supplies to Mongolia for Globetrucker, a completely volunteer, not-for-profit organization dedicated to deliveries of this nature. Once his truck was empty, he then needed to find a return load and purchased a few Mongolian yurts which he took back to his home country, Switzerland. They sold fast and helped to finance the next school supply run to Mongolia. As the yurt sales increased the businesses were separated, but still today, Groovy Yurts continues to support the efforts of Globetrucker. Yves and the Groovy Yurt team, believe strongly in sustainable living and make every effort to source our materials and labour from the Mongolian country side. Initiatives by Groovy Yurts support local Mongolian felt production and a tree nursery designed to plant 25 trees for every yurt sold. The trees are grown locally before finally taking them out to the countryside and replanting them to maturity. The Groovy Yurt story is a fascinating one and continues today with our new central office open for groovy business in the beautiful town of Alexandria, Ontario. 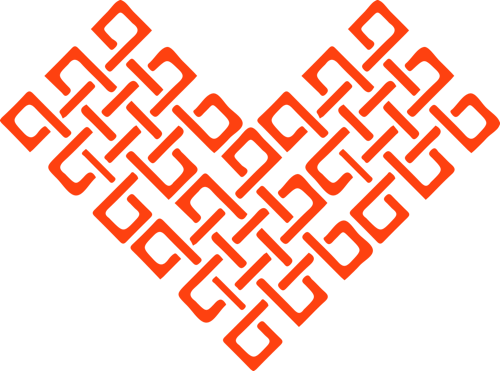 This page is a true dedication to all the wonderful people who make up every Groovy Yurt day and bring the culture of what really matters to life. Baata is our main yurt manufacturer in Mongolia. Bata and his 13 brothers and sisters along with their families touch every aspect of production from your initial order submission to packing it on the ship. Groovy Yurts wouldn’t be the same without the heart, soul and energy that Baata and his family put into every single groovy yurt. From the first phase of production in the countryside to the final stages in the city of Ulan Bataar, each and every family member plays an intricate role in ensuring the fine detail and quality construction of our authentic mongolian yurt. 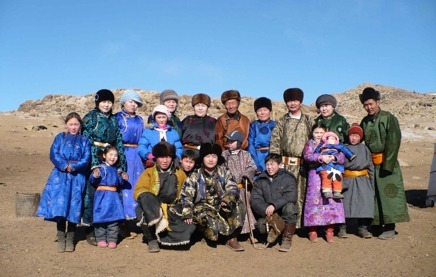 The best part of our Groovy Yurt bi-annual trip to Mongolia is our time spent with Baata and his family. They have all become like family to us. We treasure every moment of time shared and all that they have taught us! Yves Ballenegger is the founder of Groovy Yurts. 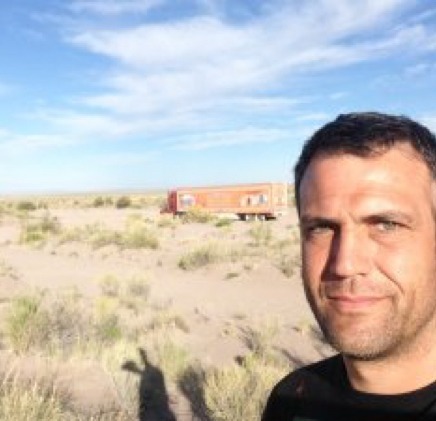 From it’s conception as Globetrucker 14 years ago to the GroovyYurts’ brand today, Yves has never lost sight of his desire to bring the Authentic Mongolian Yurt experience to his customers around the world. Yves’ support to minimize the foot print on our soil, advance education in sustainable living and promote the use of renewable resources are all reflected in his Grooy Yurt world. His passion for the Mongolian culture is captured in every single hand made yurt that is delivered. Two to three times a year Yves sets out on the Groovy Delivery Tour where he and his team personally deliver and set-up his customer’s yurts.  He is a wealth a knowledge in every aspect of Mongolian yurt living and follows the production of your authentic Mongolian yurt from it’s beginning in Mongolia, to the three month journey across the world, and finally delivery to your door. Yves is Groovy Yurts! His passion for life and people can be felt in everything he does and says. He believes strongly in the Mongolian culture, the respect to minimize, the need to protect the earth, and a focus for what is truly important in life! 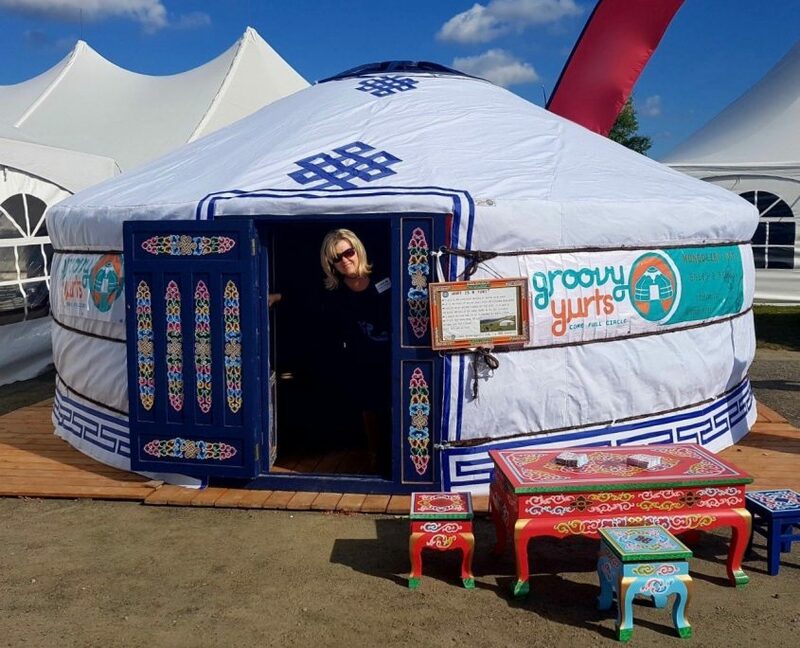 After a 30 year career in community leadership Sharon has joined the Groovy Yurts team in a business development capacity focusing on sales, service (internal and external), and business growth and development. Given that Sharon has written all the bio’s on this page she finds it a wee awkward to write her own. What I can tell you is that I have worked over the years in all levels of community from not-for-profit to private industry to government and although I loved every level of community and every position I was in, nothing quite compares to the community spirit that engulfs Groovy Yurts and the people they serve. This company perpetuates a community that is all about making a difference, caring about each other, and dedicating one’s self to what really matters in life. I couldn’t be more happy to wake up everyday to the people I work with, and those who we assist to move forward with their dream! Richard and Carmen look after and care for our Groovy Farm. As if that is not enough! Richard comes from an extensive background in construction and is also our Warehouse controller here in Canada. A talented wood worker, and all round handyman. Richard builds, bends, paints, and creates just about anything our customers can request. 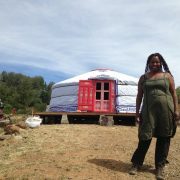 With a life time dedicated to holistic living, Carmen is well very well versed in Groovy Yurt living and sustainable lifestyles. We all love Carmen for her love of live, her beautiful spirit, and the positive way in which she approaches every day! Enee (on the right) is our indispensable extended arm in Mongolia. She takes care of everything, from day-to-day business to quality control. She’s a life-saver because although we speak a good, albeit a little broken Mongolian, her ability to speak four different languages makes communication amongst the Canadian and Mongolian teams much more affective. 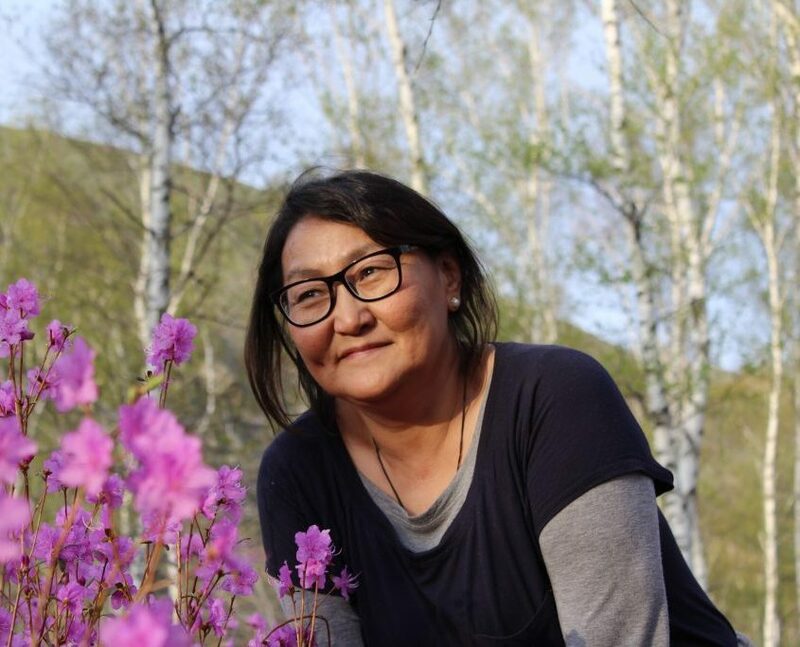 She is a very dedicated Groovy Yurt team member and we are grateful every day for her hard work and leadership to the Mongolian production controls. Sandra is a Jack of all trades, wood worker, and artist. 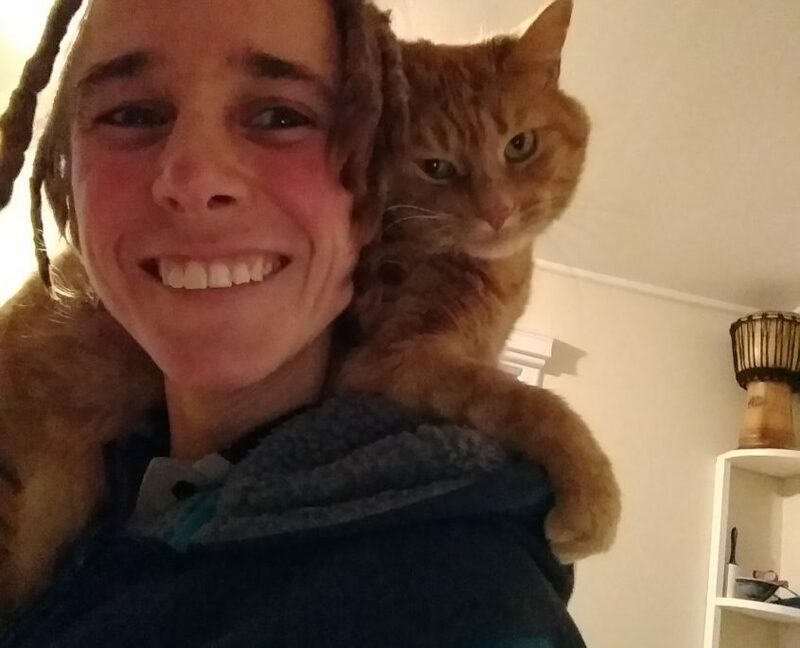 She plays an integral role on our Groovy warehouse production team, assisting on platforms, toonos, and any other construction project she can get her hands on. As an advocate of holistic and organic living, Sandra finds time in her busy schedule to grow her own food, play soccer, and meditate. This dedicated groovy yurter is a joy to work with, with an abundance of enthusiasm and very positive attitude. Thanks Sandra!